The water in your home may have several issues that need to be corrected, from hardness (mineral deposits) and turbidity (suspended dirt) to bad tastes and smells (chlorine odor). Your water may also contain things you can’t even see, such as nitrates or other potentially harmful contaminants. If your water looks, tastes or smells bad, remedying the water at each tap as well as providing the best, purest drinking water is the answer. EcoWater’s whole home water conditioning systems help you get there. EcoWater’s solution combines the power of softening and filtration. 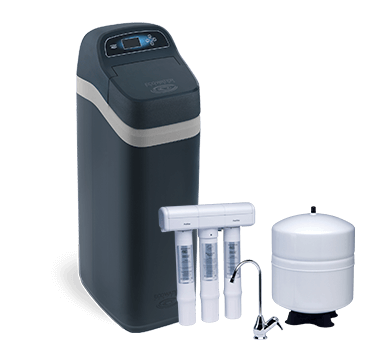 A water conditioner system paired with a water filtration system creates a customized solution to meet your needs – whether your water comes from a municipal supply or private well or if you live in an area where there are water restrictions.